Mason Torry, Fine Art in Public Places, paints "The Classics" on a utility box at the Eagle Public Library. The Thompson children, of Gypsum, look on curiously observing his technique and skill at painting such a unique project. 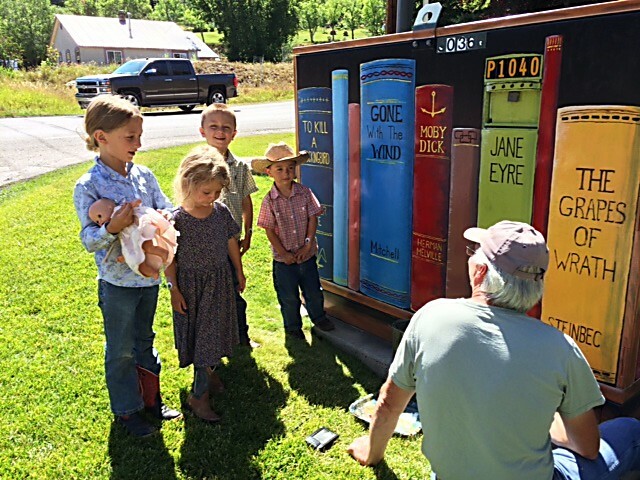 Torry, longtime local of Vail Valley is the artist of the murals and utility box projects in Avon and a member of Vail Valley Art Guild.